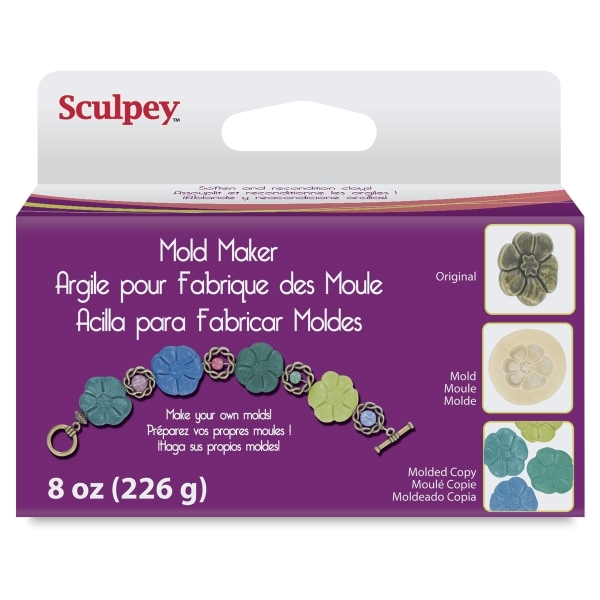 Make flexible, permanent one-sided molds that capture the most intricate details of your pieces… in minutes. Soft and pliable right out of the package, it can also be used for softening clay, or repairing picture frames and sculptures. 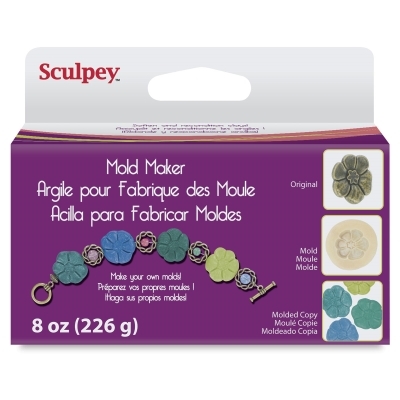 ® Sculpey is a registered trademark.™ Moldmaker is a trademark.